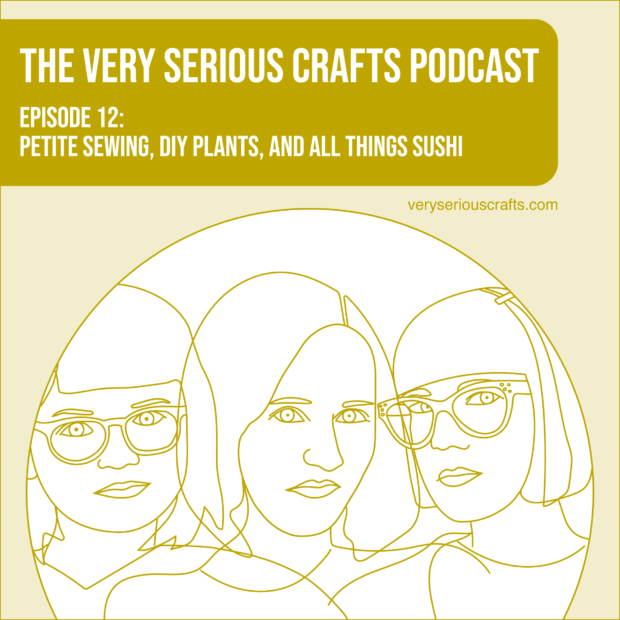 Hello, and welcome to The Very Serious Crafts Podcast, Season 1: Episode 12 – Petite Sewing, DIY Plants, and All Things Sushi ! In this episode, the Very Serious Crafters bask in the glow of Heidi’s Auntie Endorphins (and then become mysteriously obsessed with sushi). 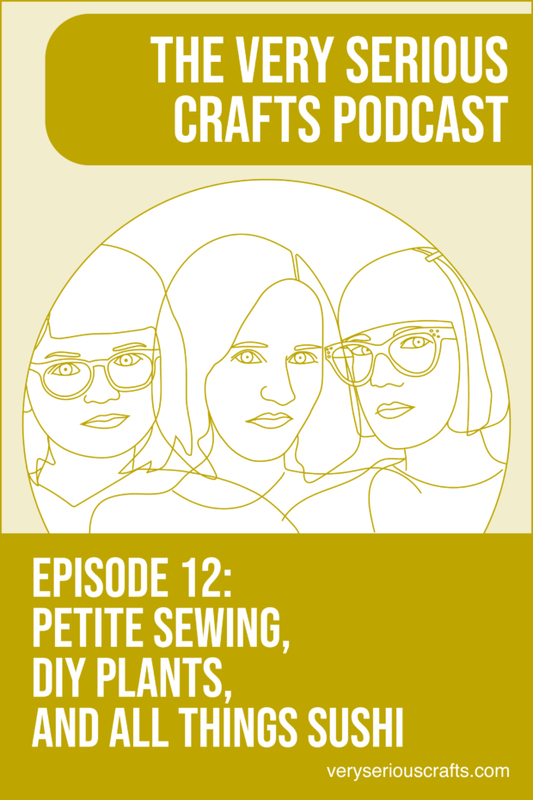 Thanks for such a fun podcast! I really enjoy listening while I’m driving (and it helps me to drive at the speed limit, too).